Milwaukee, WI - The Milwaukee, Wisconsin based trial and litigation law firm, Gimbel, Reilly, Guerin & Brown (GRGB) is proud to announce that Attorney Jason Luczak has been honored as one of Wisconsin's Up and Coming Lawyers for 2012. The award, which will be presented on September 19, 2012, recognizes attorneys in the State of Wisconsin who are on the fast track in their law career and represent a strong character in both the practice of law as well as a community involvement. "Jason's designation as an Up and Coming Lawyer in Wisconsin demonstrates what we have always known to be true about him. He represents the future generation of outstanding attorneys at GRGB," states Founding Partner, Franklyn Gimbel. "He serves GRGB's clients with energy and a forthright mindset and has developed a strong litigation practice. We look expectantly to the new era he represents, while we hold firm to the principles on which our firm was founded," Gimbel adds. Luczak serves GRGB clients in a variety of practice areas that include both civil and criminal litigation. He has gained valuable courtroom experience, trying cases in state, federal and municipal courts throughout Wisconsin. He has argued before the 7th Circuit Court of Appeals in Chicago, and has prepared and filed a certiorari petition to the United States Supreme Court. Attorney Thomas Brown was recognized as a Super Lawyer in White-Collar Criminal Defense. 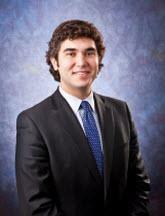 Attorney Michael Guerin was recognized as a Super Lawyer in General Litigation. Attorney Patrick Knight was recognized as a Super Lawyer in Civil Litigation Defense. Attorney Raymond Dall'Osto as recognized as a Super Lawyer in General Litigation. Congratulations to Attorney Steven McGaver for being named by the Wisconsin Law Journal as an Up and Coming Lawyer for 2010. He was honored at a reception for all of the award recipients on August 31, 2010 at the Wisconsin Club.